Why Neutral Grounding or Neutral Earthing is Essential? 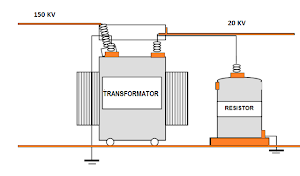 In power system, grounding or earthing means connecting frame of electrical equipment (non-current carrying part) or some electrical part of the system (e.g. neutral point in a star-connected system, one conductor of the secondary of a transformer etc.) to earth i.e. soil. This connection to earth may be through a conductor or some other circuit element (e.g. 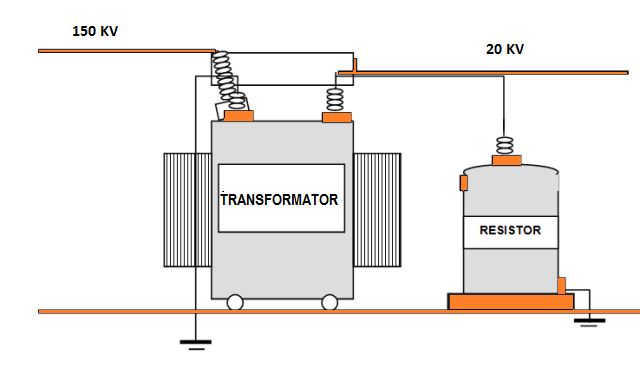 a resistor, a circuit breaker etc.) depending upon the situation. Grounding or earthing offers two principal advantages. First, it provides protection to the power system. For example, if the neutral point of a star-connected system is grounded through a circuit breaker and phase to earth fault occurs on any one line, a large fault current will flow through the circuit breaker. The circuit breaker will open to isolate the faulty line. This protects the power system from the harmful effects of the fault. Secondly, earthing of electrical equipment (e.g. domestic appliances, hand-heldtools, industrial motors etc.) ensures the safety of the persons handling the equipment. For example,if insulation fails, there will be a direct contact of the live conductor with the metallic part (i.e.frame) of the equipment. Any person in contact with the metallic part of this equipment will be subjected to a dangerous electrical shock which can be fatal. Why we need Power System Protection? Why Voltage Control is Important?